Steamed pork buns get a sweet companion that’s grabbing everyone’s attention in Japan. Steamed pork buns, or nikuman, as they’re known in Japan, are hugely popular around the country, especially in the colder months when their hot, meaty fillings seem extra delicious. This winter, there’s a new steamed bun filling that’s set to warm your insides while tantalising your eyes and your taste buds, and it’s one of the sweetest and most unusual varieties we’ve ever seen! 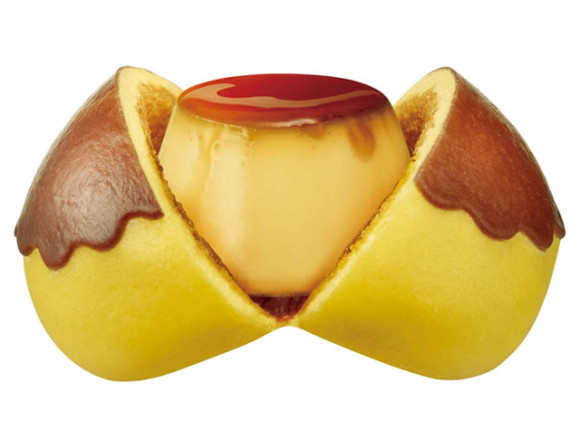 It’s called the Marugoto Purinman, which translates to “Whole Custard Pudding Steamed Bun”, and it delivers on its title with an entire custard pudding, or crème caramel, hidden inside a beautifully decorated steamed bun.